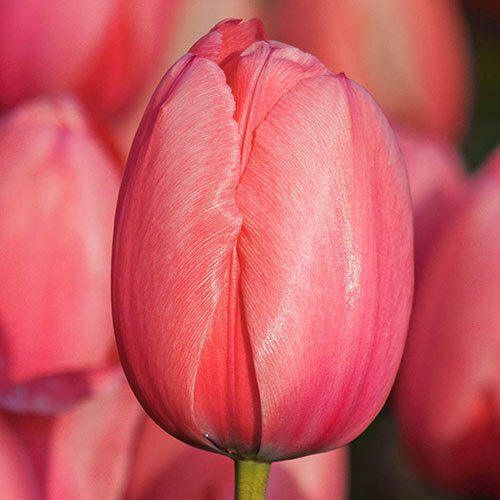 Tulips always put a spring in our step, and the Guinevere Jumbo Perennial Tulip makes that good feeling last even longer. These hand selected Dutch bulbs are chosen for their vigour and hardiness, giving them a blooming season comparable to that of daffodils. Their extra long 24- to 26-inch stems are topped with glorious deep pink flowers that create a soft, romantic backdrop for other spring flowers. 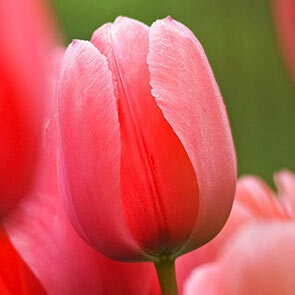 These blossoms showcase the traditional Dutch tulip cup shape, and the large blooms make exceptional cut flowers. 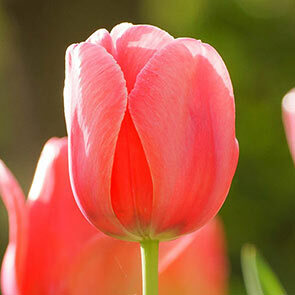 Like many other spring bulbs, these perennial tulip bulbs fare best when planted in the fall, before the first frost. Hardy in zones 3 through 8, this pink Darwin hybrid is an easy-going garden addition. Partial to well drained soil, this low maintenance flower can tolerate clay, loamy and sandy soils. 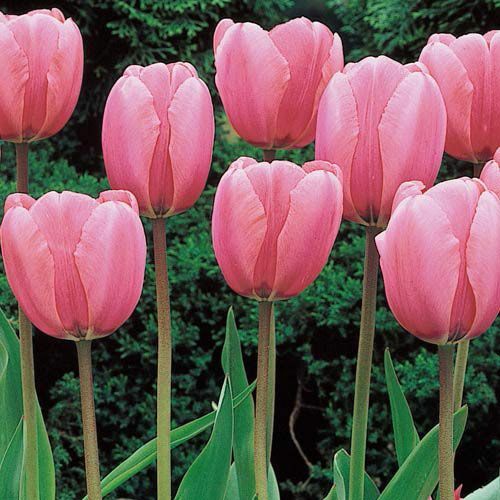 Plant these perennial tulip bulbs 9 inches deep, pointed end up, and space them about 6 to 9 inches apart, as they have large, full leaves. 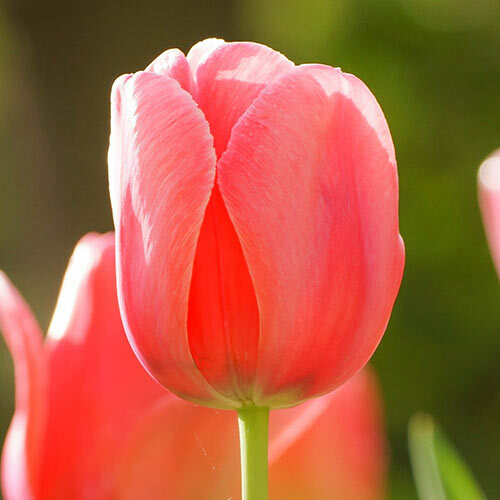 The long blooming season of these tulips make them an excellent transitional flower when planted with a mix of early bloomers like snow glories, mid-season daffodils and late spring flowers like iris. Line walkways or fill containers with stately, elegant Guinevere Jumbo perennial tulips for a steady supply of long-stemmed cut flowers. Like its legendary namesake, this fabled queen is renowned for quiet beauty, strength and elegance. With dramatic pink blooms perched majestically atop 24–26" stems, it's a touch of royalty for your mid-spring garden or bouquet. Unlike traditional tulips, which have a somewhat limited life, this unique variety has the perennial capabilities of a fine daffodil.